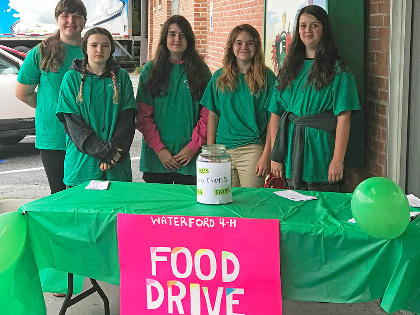 St. Johnsbury--When members of the Waterford 4-H Club recognized a need in their area to provide food for those in need, they decided to organize a food drive, which they held July 14 at The White Market in St. Johnsbury. Participating in the drive were Bridget and Grace Denio, Katie and Rosie Nadeau, Kayden Rowell and Bryn Whitehead, along with their leader Mary Denio and adult 4-H volunteer Melissa Smith, all from Waterford. 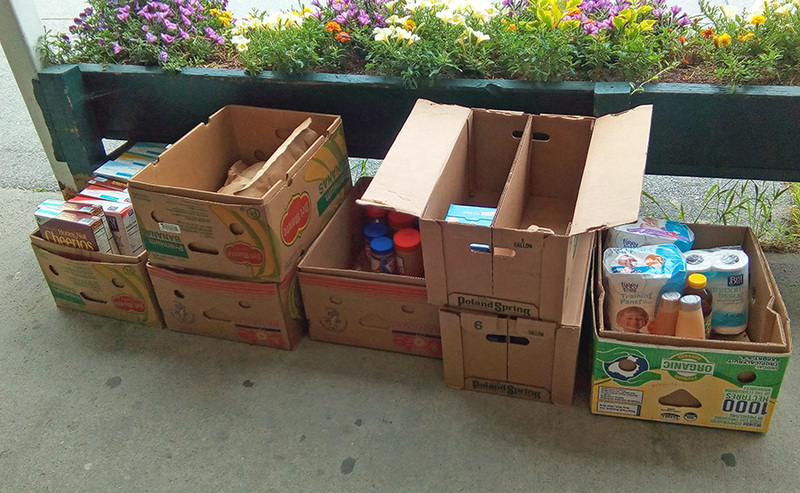 The 4-H'ers collected $334.53 and filled an SUV with food donations, which they gave to three organizations that help feed the hungry: H.O.P.E. (Helping Other People Everyday), Lyndonville; Kingdom Community Services, St. Johnsbury, and Northeast Kingdom Community Action, which has several area locations. In addition to community service, the 4-H'ers also participate in a number of projects including poultry, dairy, goats, gardening, culinary, sewing and crafts. Earlier this year they shared what they learned through their 4-H project work at the annual Northeast Regional 4-H Spring Showcase in Lyndonville and 4-H State Day in Barre. To learn more about 4-H in Caledonia County, contact Anthony Willey at (802) 751-8307, ext. 357, or anthony.willey@uvm.edu.